Scotts Wizz Spreader is designed to help you applying granules a lot easier. 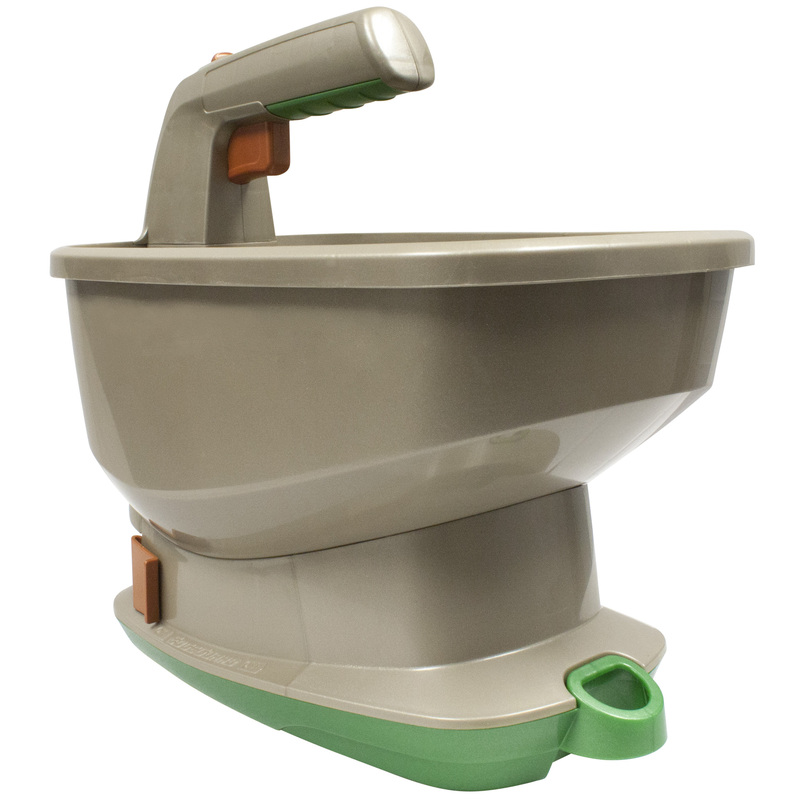 This AA battery-operated, year-round spreader will provide a quick and effective solution when it comes to applying your seeds. It features a unique EdgeGuard and HandyLock technology that are exclusively from Scott's. Just fill the spreader with the desired granules, set the proper settings for the product, then walk slowly and steadily through the target area while pulling the trigger, to evenly apply the granules. Start spreading along the perimeter of the target area, then do the inside, keeping the passes 5 feet apart to ensure even coverage. It has up to 2,500 sq. ft. capacity and 5 ft. broadcast to let you feed, seed, weed and melt easily all year long. Prepare - Know the size of your lawn before you begin, be sure not to overapply. Read and follow all directions for use on the label of the product that you are applying. Fill - Designed to hold enough product to cover 2500 sq. 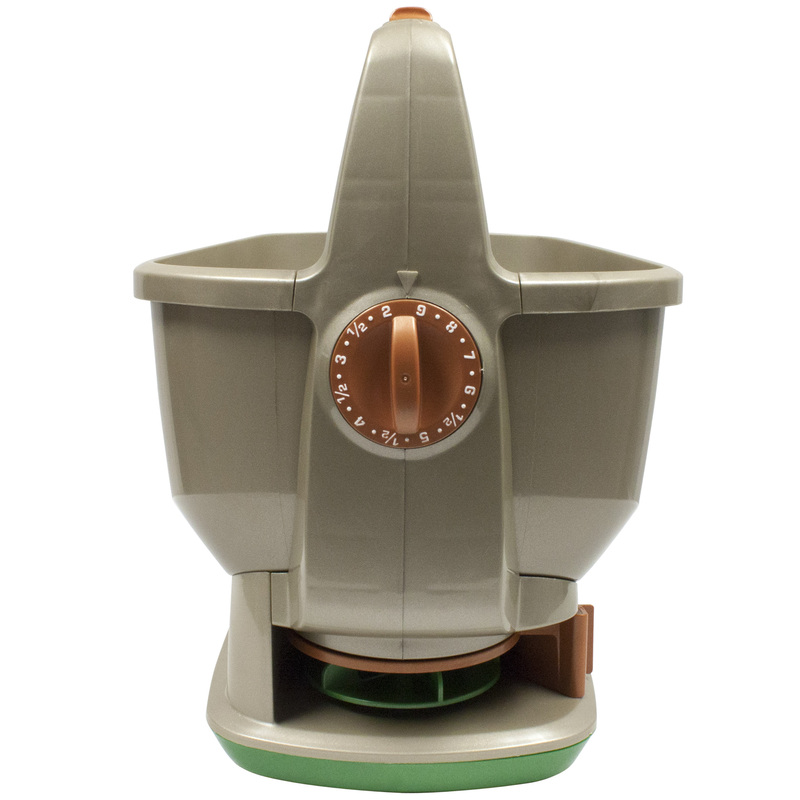 ft.
Set - Turn the orange dial to the correct setting. See the spreader settings below. Go - Begin walking and pull trigger to apply product. Be sure to walk at a steady pace (4 ft. per second). Make perimeter pass with Edgeguard on to protect non-lawn areas. Make parallel internal passes 5 ft apart to ensure even coverage. Empty unused material back in the product bag. Place the spreader on lawn and gently hose down to throughly rinse it out. 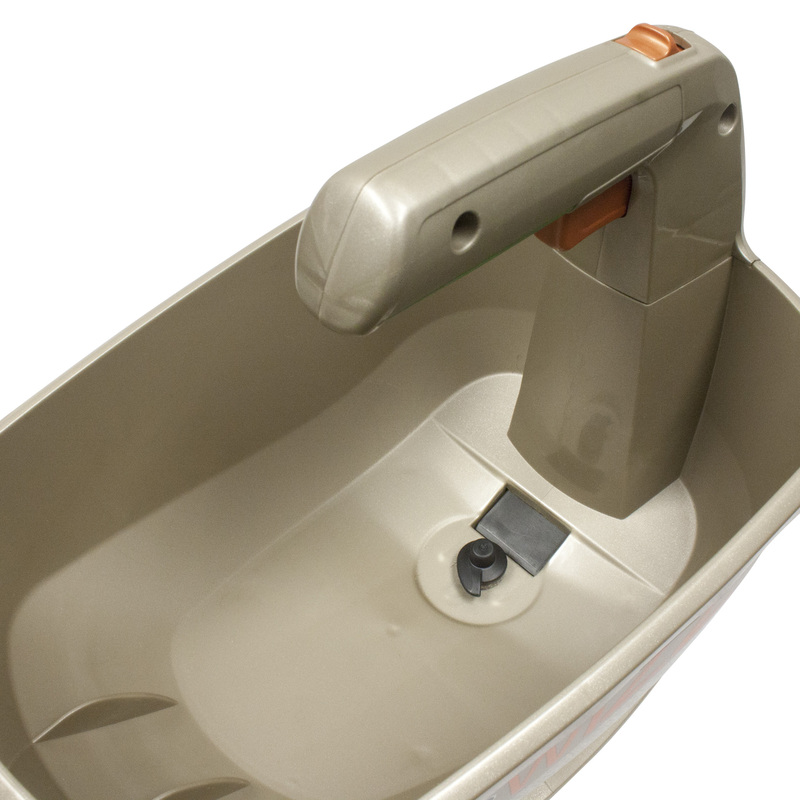 Do not submerge in water or allow water to sit in hopper for any length of time. Replace batteries annually. I bought it for my wife. She likes it! What setting do you set the Scotts Wizz Hand Held Spreader for overseeding? The setting on Scotts Wizz Hand Held Spreader varies depending on the type of seed you are applying. There will be a Settings Chart located on the bag of the seed you are using for reference. You may also contact the manufacturer of the seed company directly. Would the Scotts Wizz Hand Held Spreader work well to spread DeltaGard on a small lawn of 400 sq ft? If not, what spreader would you recommend for such a small area? 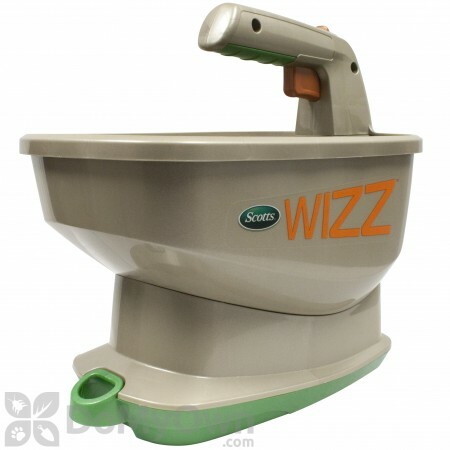 Yes, a Scotts Wizz Hand Held Spreader can be used to apply DeltaGard G Granules to a small lawn. What is the setting for Spectracide Insect Killer Granules for lawns? Unfortunately, we do not carry Spectracide Insect killer Granules. Regardless, if the bag does not include what setting to use for your specific spreader, we would recommend to calibrate your spreader; you can find a helpful video at the bottom of our Granular Spreaders page. You can also check Scotts Spreader Tool page to see if they have a setting for this specific product.